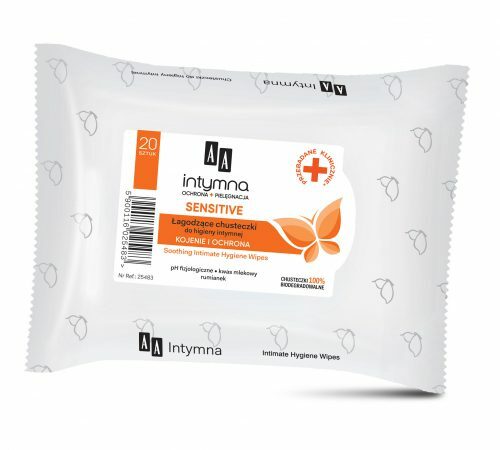 ANTI-INFECTION PROTECTION AND SOOTHING – Intimate hygiene wipes are recommended for daily use for refreshment and soothing irritation. They are comfortable and practical to use every day, wherever we are: at home, on the road, at work and on holidays, ensuring long-lasting comfort. Product developed in cooperation with specialists in the field of gynecology, dermatology and allergology. Lactic acid, chamomile extract, allantoin. Specially designed from soft nonwoven fabric, the wipers are hydrated with substances that ensure proper hygiene and intimate care. 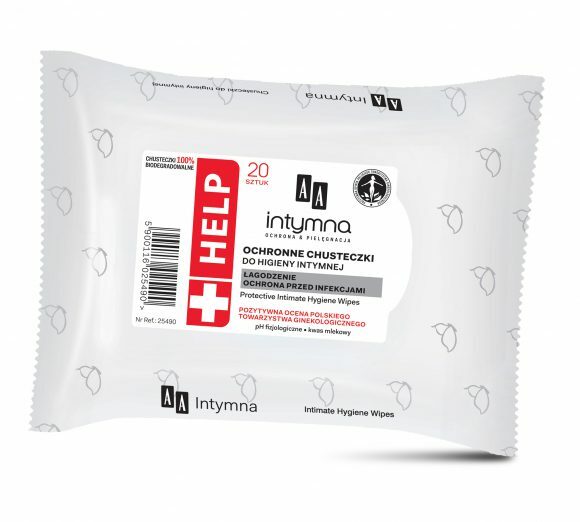 This special formula of wipes contains lactic acid that maintains the proper pH of the skin and mucous membranes and supports the organism natural defense mechanisms. 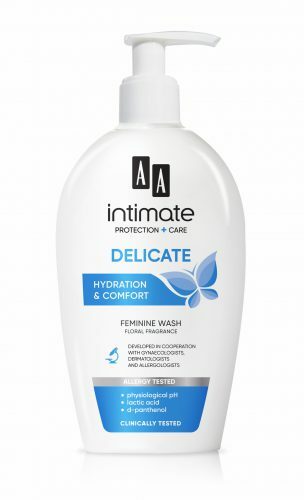 The gentle washing base guarantees a very good tolerance and effective refreshes. Due to the presence of soothing complex, the wipes perfectly sooth irritations and prevent excessive dehydration of the mucous membranes. Their unique softness and delicacy ensure comfort of use.